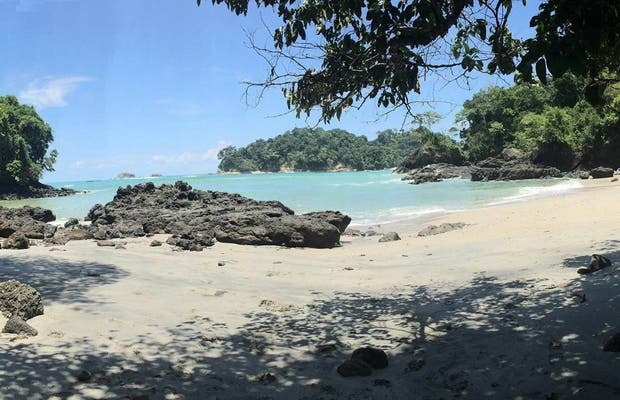 Do you like Parque Nacional Manuel Antonio? Awesome place. We used Airbnb to find a place to stay for only 68 dollars a night. We found a very comfortable apartment/ studio close to Manuel Antonio National Park, 5 minute walk, the beach and several restaurants. You have to go early in the morning to the park in order to see all the fauna. The park is open from 07:30am till 4:00pm. Tickets as of October 2016 cost 16 dollars for foreign visitors. A guide charges another 20 bucks per person. You really need a guide in order to see all the animals. They have telescopes so you can see them and take pictures. In Manuel Antonio National Park, Costa Rica, we were passing through the park in the direction of the turtles spawning grounds. We stopped to have a Coca-Cola, and we saw this abandoned Chevrolet, that has been eaten away by the passage of time. A great photo opportunity. In my beloved Costa Rica is one of the most beautiful beaches or very close to it! I hope you visit it... Manuel Antonio is one of the beaches most visited by tourists, and can you find a park!! Such a good place to relax.